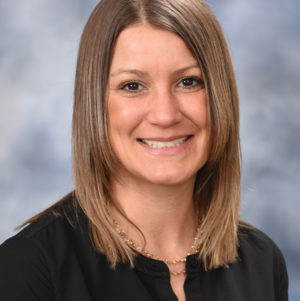 Lindsey Knupp is in her 14th season in Minor League Baseball, and eleventh season with the IronPigs, as the club’s Vice President of Marketing & Entertainment and also serves as a board member for IronPigs Charities. Under her direction, the IronPigs have developed and maintained the strongest promotional schedule in Minor League Baseball and have captured Ballpark Digest’s prestigious “Promo of the Year” award for a series of successful recent promotions as well as GameOps.com’s “Best Game Operations and Presentation” award. The IronPigs’ forward-thinking promotions have been highlighted in numerous national publications, including The Wall Street Journal, USA Today and Sports Illustrated. Knupp oversees the Community Relations, the Multimedia Design efforts, as well as the Social Media department of the IronPigs, in addition to her responsibilities handling promotions and entertainment. In 2015, Knupp was selected as the recipient of the Rawlings Woman Executive of the Year Award by Minor League Baseball. Since 1976, the Rawlings Woman Executive of the Year Award has been presented annually to a woman who has made outstanding contributions to her club or league, or to baseball. Lindsey is a graduate of Shippensburg University where she was a two-time All American and captain of the varsity field hockey team. And was inducted into the Shippensburg University Athletic Hall of Fame in October of 2017. She is also a graduate of Northampton High School and was inducted into the Northampton High School Athletic Hall of Fame in December of 2017.